Fabric Archives - W.F. Lake Corp.
Our PTFE and Silicone coated fabrics are designed for a number of applications in diverse industries where high temperature, non-stick , chemically resistant and dimensionally stable characteristics are important. We manufacture over 50 styles of PTFE coated fabrics from 0.003 to 0.030 thick. Our coating percentages range from 15% to over 60% by weight. Most applications use our Standard Grade with a heavy PTFE coating and smooth surface. 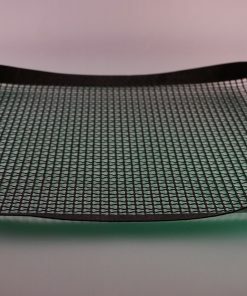 Applications include: Release fabric covering plastic sealing wires, baking sheets, chemical resistant gaskets or seals, covers for thermal laminating presses, and more! In addition, we can make the coatings UV resistant, crease and tear resistant and even semi-conductive for static bleed-off!